Our First Round of Courses Are Now Live ! 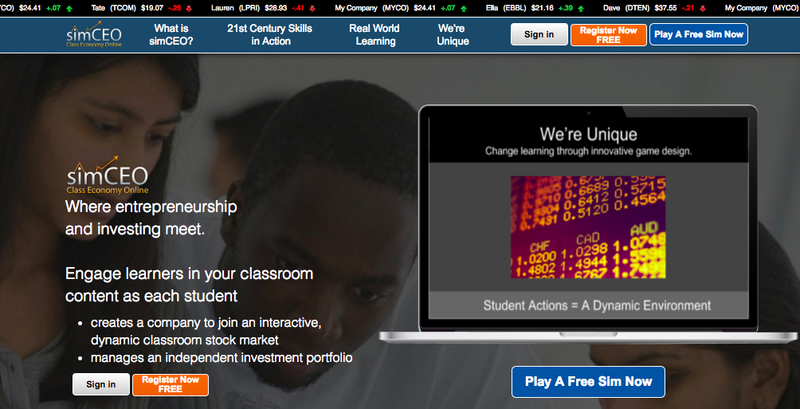 Our newest site, simCEO Courses, is now active with our first round of course! Our platform is designed for users who want to share their solutions - then get feedback on those solutions - within our interactive platform. It's a learning environment like no other, leveraging social learning to ensure that participants are both creators and simultaneous evaluators. We think that's a major step in transforming learning, and we hope you join us. What do you get when you combine an interactive online environment structured around collaborative problem solving where each student shares unique solutions? An entirely new model of learning. Share your questions, get feedback from our staff, collect some free handouts to help strengthen your PBL experiences, or just listen to ideas from other instructors. Or, if you're feeling ready, join our FREE PBL Course for educational instructors on our simCEO platform! You'll end with your own PBL experience that's been battle-tested by other educators to make it even more effective for your students ! Here's a look at our upcoming webinars. But to join, you have to reserve a space. Registered users can set up a time for a personal 15 minute consultation with one Jetlag Team member. Reserve a spot on our calendar. Learn more about how we hope to change learning. Check out our Getting Started resources. Interested in joining a pilot program? Help us research the learning effectiveness of simCEO, and get cool stuff! We get better with feedback! Join a pitch deck webinar to learn more and get free resources. 3 sample pitch decks from real companies. 3 pitch deck templates for you to consider using. Bring your questions - or just listen and learn. 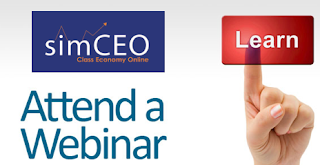 Our webinars take place each week. But to join, you have to reserve a space. We are excited to announce two new releases based on your feedback. 1. 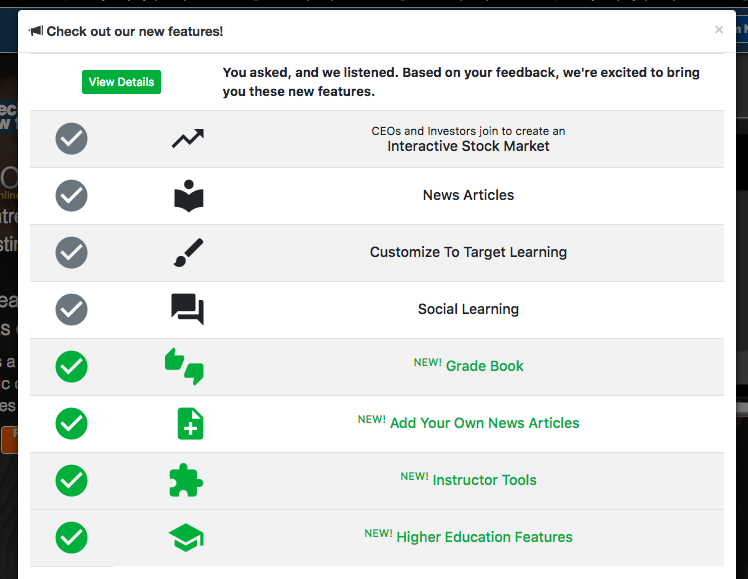 We have added features (see below) to upgrade our award-winning Educational Site to give it even more functionality to meet classroom needs. 2. And, we are launching the beta version of a new site, open for users all around the world! 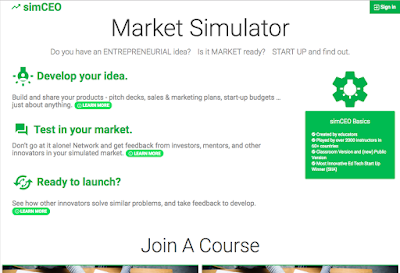 Or, launch your own interactive course and earn money using our simCEO Market Simulator to leverage social learning to advance your entrepreneurial solutions. Develop your idea. Build and share your products and solutions to entrepreneurial problems - pitch decks, sales & marketing plans, start-up budgets … just about anything. Test your idea in your market. Don’t go at it alone! 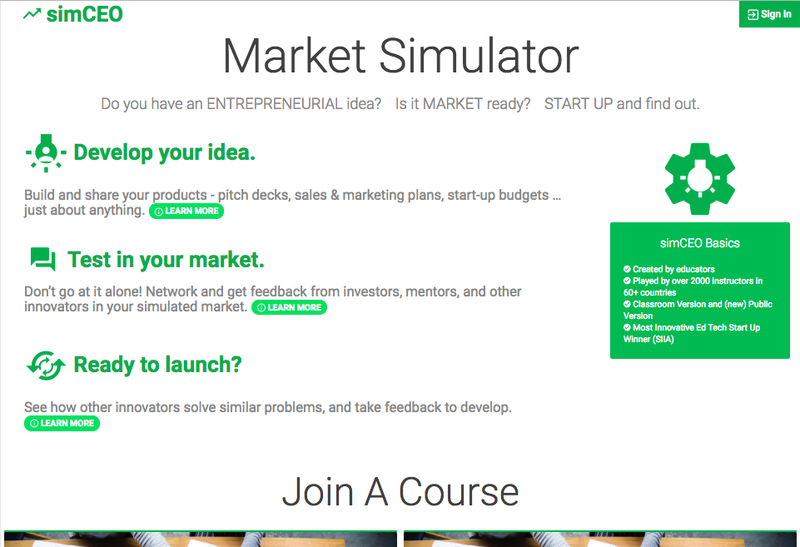 Network and get feedback from investors, mentors, and other innovators in your simulated market. Ready to launch? See how other innovators solve similar problems, and take feedback to develop. Take the ideas you like and finish our courses with market-tested products you can share with customers, potential partners, and investors. aspiring entrepreneurs to share their solutions/ideas, learning from and with one another, as they gain valuable to feedback to improve. instructors a dynamic environment to share real-world tasks and news articles - allowing learners to demonstrate their application of content understanding in an interactive environment to maximize feedback. Learn more about becoming a simCEO instructor. Instructors can choose to use our pre-created assignments, and now can easily create their own, customized assignments to target skills and content at the desired level of student complexity. Instructors can choose to share our pre-created news articles with students, and now can create their own articles to help target content and add engagement. Students can upload PDF documents to share more detailed solutions to business challenges. One of the great benefits of simCEO is that it empowers instructors to easily customize the experience, crafting it to meet specific outcomes and/or student needs. 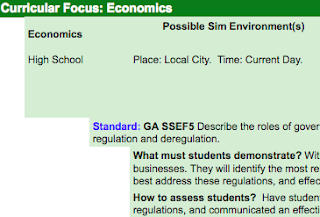 We love the creative ways that instructors shape simCEO to focus on specific subjects. While simCEO already includes links to national standards in Entrepreneurship, Economics, and Personal Finance, it can be customized even further in these areas or other subjects. We share a few examples below. We encourage instructors to send us ideas so we can share them. The more we share, the more examples we give to new simCEO instructors to give them the spark to see how they can best reach their students. If we publish your ideas, you will earn a free simulation. Take a look at our initial list below in the following subjects. More will follow! What Do We Ask Students To Do With Content? We are striving to get students to move beyond content recall. We know it's not the goal. More specifically, we're striving to re-invent schools and educational experiences so that our units aim for skills and conceptual understandings that will help students be successful in the future. Unfortunately, most of our learning experiences are still rooted in a traditional model. We ask students to reproducers of content instead of producers with content. What types of learning environments allow for this? What would need to change? 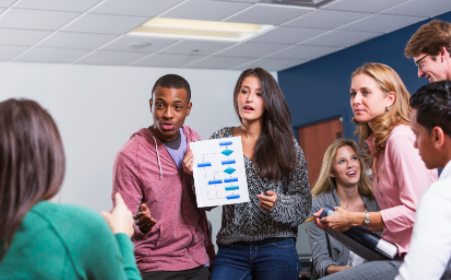 In recent years, the increased use of Problem-Based Learning (PBL) and authentic assessment techniques such as GRASPS, have helped change this model. But one area where we seem to have missed the mark is in Games-Based Learning (GBL) or gamifying the classroom. Games-Based Learning and gamification are certainly different. Steven Isaacs (@mr_isaacs) does a good job of describing the difference. But for the sake of this post, they are going to be treated the same. If our GBL environments continue to focus on the following, we're making progress. To take the next steps, we need more environments where students go beyond choices and decisions based on understanding the content. We need environments where they demonstrate their understanding of the content by producing solutions with that content. They need a context of creation that is authentic. They need to think and act like scientists, historians, and journalists. We need to create these environments. That can happen in biology, history, music, art... just about anywhere, including economics and business classes which how we apply this concept with simCEO. As business and economic simulations go, we can start by sharing the required content and then present a scenario to students and ask them to identify the "correct" choice. But, more meaningfully, we can put students in an environment like simCEO where we ask them to utilize the required content to create and manage a company within an authentic context. You might understand and recognize supply & demand, tariffs, or marketing techniques in theory, but how will you change your business plan within the simulation because these elements are introduced into your simulation. And here's where the power of games has great potential: The introduction of that content should produce different responses, solutions, and creations for each student. Introducing a tariff into an environment does not have the same result for every company. Students learn different perspectives and different solutions from one another. That's the real world. It's contextual. It's applied. PBL advocates have known this for a long time and we need our GBL environments to move in this direction. We need students who can demonstrate content understanding by applying that content successfully within a variety of contexts. And, we need more learning environments that foster this goal as well.